The school year is starting back up. We thought it would be fun to do choose yearbook superlatives for our brunch favorites. Yes, we know this is usually done at the end of the school year, but we thought what the heck, let's go for it! Who is the most unique? Who is the best dressed? Who is the life of the party? We are here to give you our picks for Brunch: Class of 2018. Waffles can wear almost any topping. 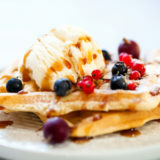 Savory or sweet, Waffles can pull it off. Pancake said "I know we look super alike, but I just don't stack up against Waffles. She can even wear fried chicken! She is a real risk taker when it comes to toppings." Breakfast Sandwich is definitely the most likely to succeed. He adapts to any environment and everybody loves him. He is always on the go and won't slow down until everyone is satisfied. He has a New York go-go-go mentality mixed with a little Midwest flavor. 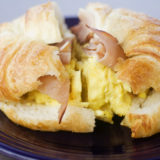 Breakfast Sandwich is definitely going places in life! 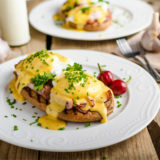 Eggs and bacon were voted classic cute couple. They love eachother and you rarely see one without the other. They went through a rough patch a couple a years ago when sausage moved to town, but came out stronger than ever. 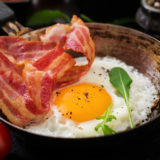 Eggs+Bacon=True Love! 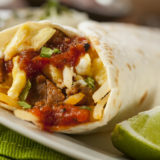 Unpredictable in the best way possible, Breakfast Burrito is always the life of the party. He shows up to every brunch get together with all the fixings. Well known and loveable it wouldn't be a breakfast food party without Breakfast Burrito! 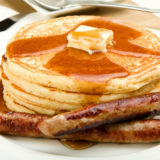 Pancake is sweet and fluffy, she can be found next to some of the most popular brunch foods in town. Pining for the attention of sausage, biscuits and gravy, and omlette, she is the biggest flirt in class! 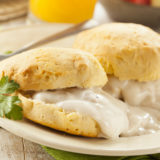 Our country sweetheart, Biscuits and Gravy, definitely deserves the title of 'Most Down to Earth.' From humble beginnings, B&G is always there to comfort those around them. You will rarely see B&G with their head in the clouds. They have been a brunch staple for years, and never forget where they came from. We had to give most unique to Eggs Benedict. Bennie brings something new to the table everyday! He will put crab cakes or corned beef hash on top of his english muffin and rock that look all day long! We love it! He has also been known to wear smoked salmon! His flavor is unlike anyone elses and we are happy to award him with this well-deserved superlative title. There you have it! Your Brunch: Class of 2018 superlatives. We are excited to keep serving up delicious breakfast, brunch and lunch favorites all year long.